World of Warcraft fans around the globe are anxiously awaiting the arrival of Warlords of Draenor, the latest expansion pack in the popular MMORPG. 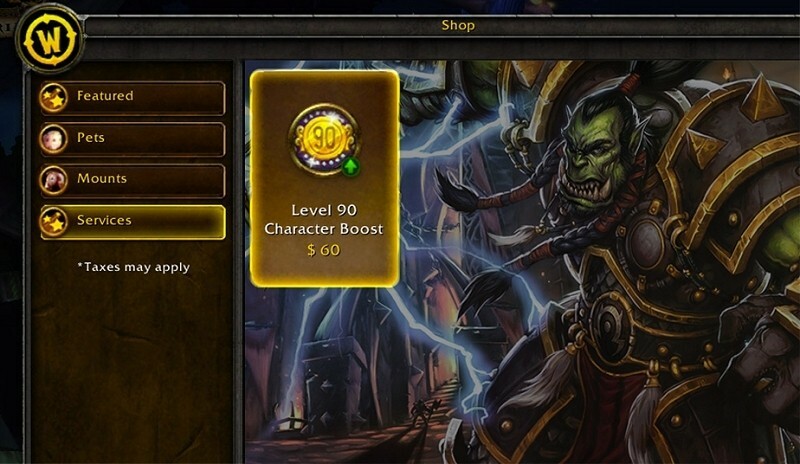 The expansion increases the character level cap to 100 and gives players the option to boost one character to level 90 immediately so they can start on a more level playing field. But what if you want to boost a second, third or fourth character to level 90? Well, that’ll cost you $60 a pop – a decision that’s left many up in arms. As Blizzard lead encounter designer Ion Hazzikostas recently told Eurogamer, they knew that as soon as the boost was announced, there would be demand to boost more than one character and it’s awkward to tell someone to buy another copy of the expansion just to get a second level 90 character. $60 per character certainly seems like a lot of money but Hazzikostas said a big part of it was not wanting to devalue the accomplishment of leveling. Leveling can take dozens if not over 100 hours and they didn’t want to diminish that with a cheap boost. If they wanted to sell as many boosts as possible, they would have lowered the price to like $10 but then, hardly anybody would ever level a character again. Like others before it, the decision won’t appease all players – that’s simply not possible. Some are interested in the boost at a lower price point while others are fearful that it might ruin the game completely. What’s your take on the level boost?